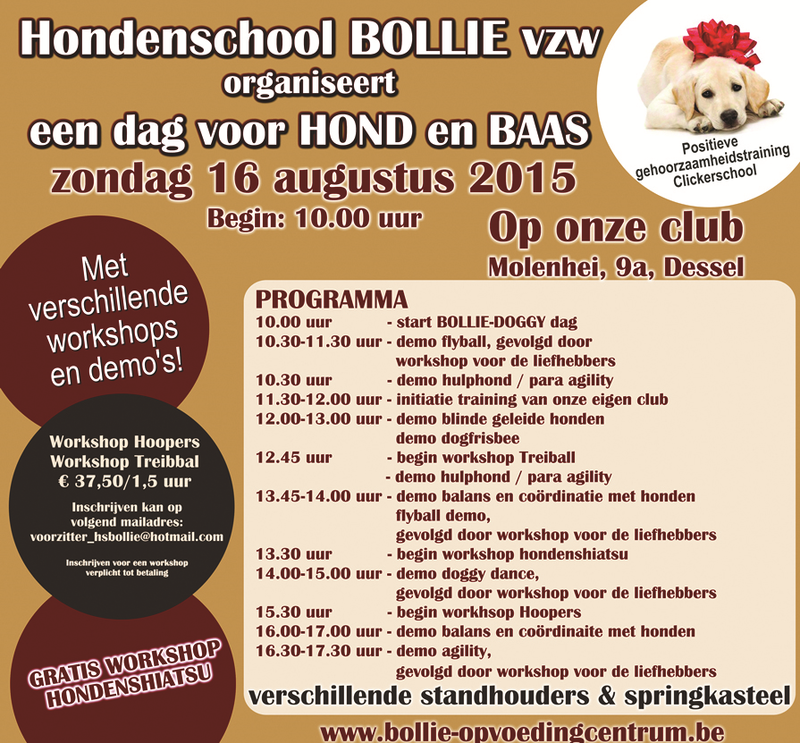 The dogschool Bollie in Dessel, Belgium was organising the firtst Bollie-Day and asked me to give demonstration assistance-dog and para-agility. Together Jolien Greuter we drive, early in the morning, to Belgium. Here in the Netherlands it was raining but when we arrived in Dessel the sun was shining! 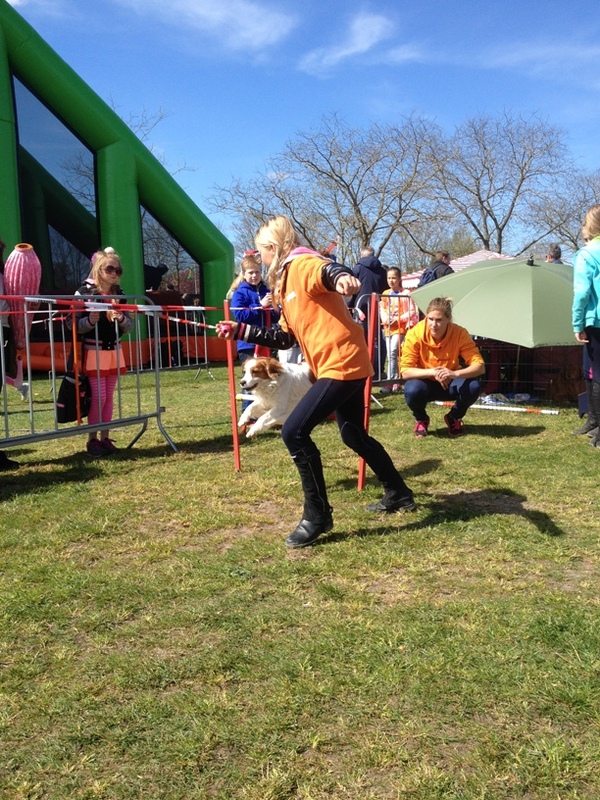 A very homy day with a lot of different dogsport-demonstrations, also met a lot of friends and making new contacts. By the extreme high expected temperature of 38 grades was decided by the organisation of this day to cancel all demonstrations with dogs/ animals. 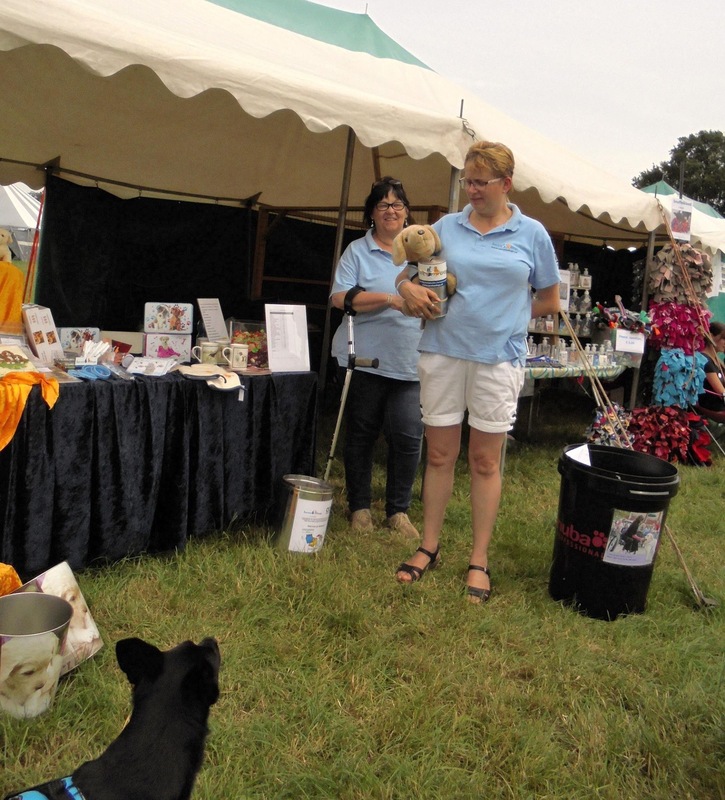 Again talking care of the organisation of the Dog Ring (together Mario Lehtonen) of this wonderful and great Event : Country Fair in Aalten which was organised for the 20th time! Als three days nice sunny weather, totall 400 stands and a 33.000 visitors! We may looking back to a successfull event, a very nice big Dog-Ring with the hole day beautiful demonstrations and a lot of information-stands. Belinda and Roy van Essen, Aude Gaillard, Jolien Greuter, Jolien and Lianne Bezuijen with their dogs. 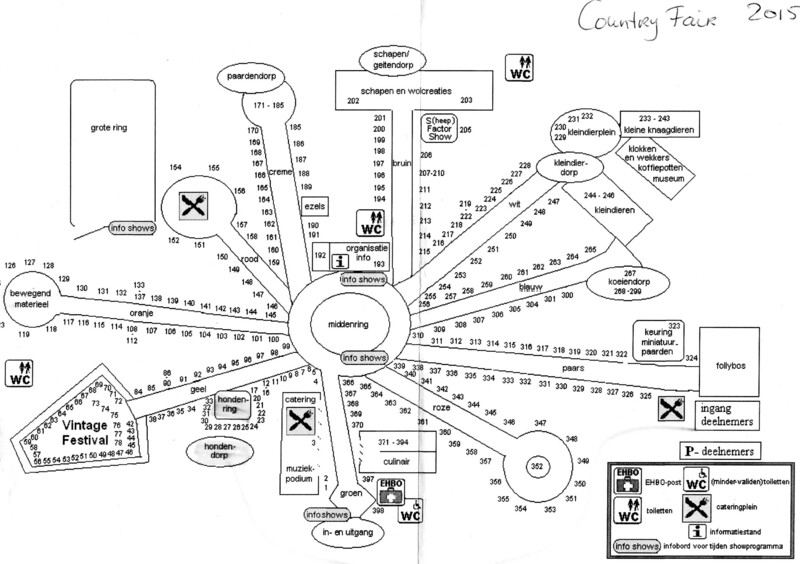 Meanwhile we get the possibility to create a game which could give sponsormoney for the organisation/ trainings school Servicedogs. 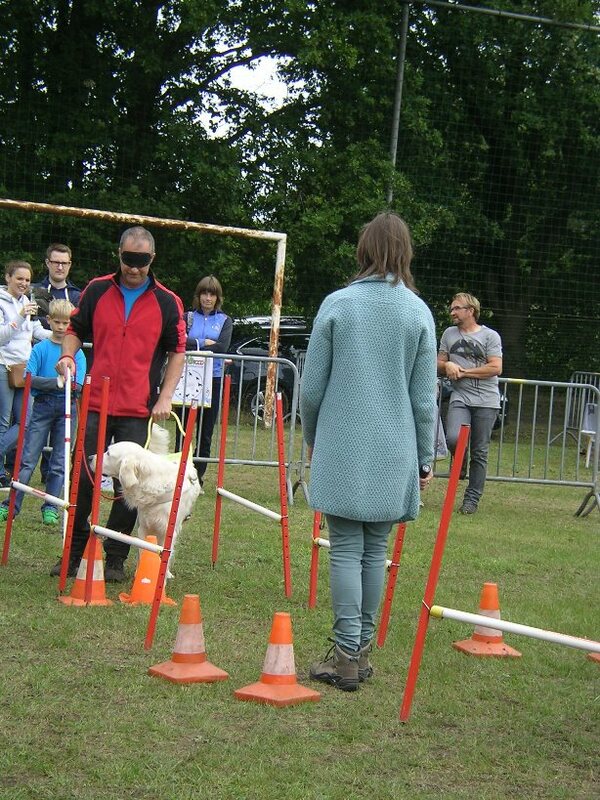 Then we have decided to give the children the possibility to run with our dogs a part of the official agility-course...that was succesfull!! 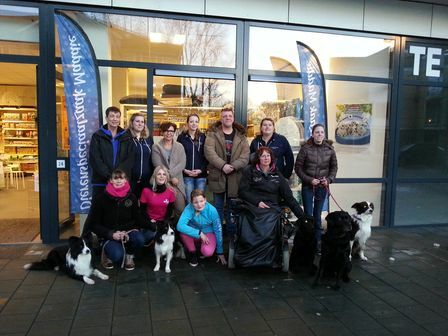 On saterday 24 Januari was organised by Animal-shop "Maddie" on the shopcentre Kraailand in Hoogland, an event named "Animal Event" with demonstrations and special activity in her shop. This because her shop was started September last year. 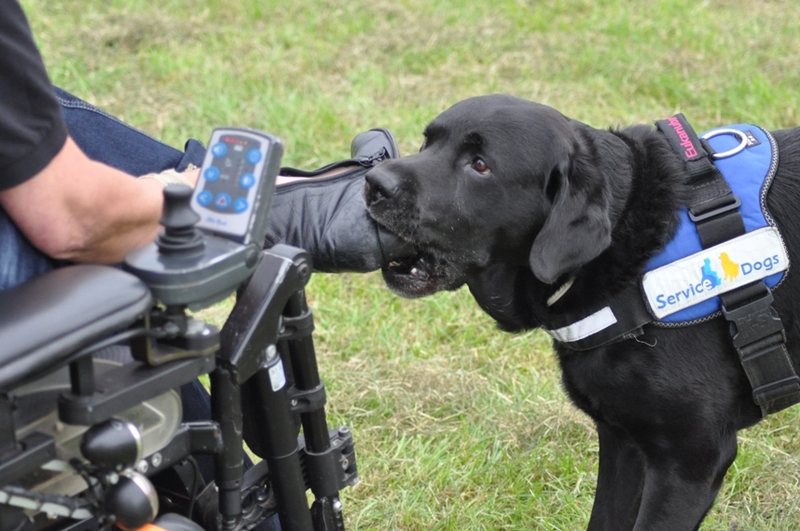 I was asked to give demonstrations servicedogs and para-agility, with assistance for agility by Lianne and Sofie Bezuijen. Mandy van Laar was asked to give demonstrations "trucs with your dog"
But later the sun was shining and there were a lot of enthousiast shopping-public!